Allowing your child to pursue a non-academic activity outside of their homeschool academic life is essential to the homeschooling experience. It allows your child to learn more about themselves, what they are capable of, what they like and dislike, and boosts their confidence. Non-academic activities can put your child in an environment with their peers, and helps them to practice interactions with other children and adults outside of your home. During this time, they can learn life lessons that they may not learn during their academic life at home. One good place to begin is by getting to know your child, and by helping them get to know themselves. Perhaps when you begin to homeschool, they are already involved in a nonacademic activity like gymnastics, dance, or a sport of some kind. Many children begin participating in these sorts of programs before they reach school age. If so, and your child enjoys that activity and would like to continue, you can continue to have them do so. Or you can choose to place your child in a homeschool only class. Putting your child in a homeschool-students only group is very advantageous in several ways. Typically this is a smaller group with students who are also homeschooled. The class may be offered during the day, when many other children are attending school. By doing this, you may be able to avoid the hustle and bustle of the Saturday-morning routine, when many classes are offered back-to-back and you and your child may feel rushed through the class. If your child is currently not involved in a non-academic activity outside of the home, there are many places to search for classes. The YMCA is a great place to find something for your child to do. Our local YMCA offers both homeschool-students only classes and classes for all children in a variety of areas, from basketball, iceskating and culinary classes. If you belong to another fitness center, contact them and inquire about classes for homeschool-students or classes that are offered to all children, depending on your preference. Stay up to date on registration guides because sometimes they offer new classes, depending on their members’ wants and needs. And, depending on your child’s age, it may be that they are too young to join a class right now, but will be old enough to try it out next time. Many programs will offer a free trial class for your child. 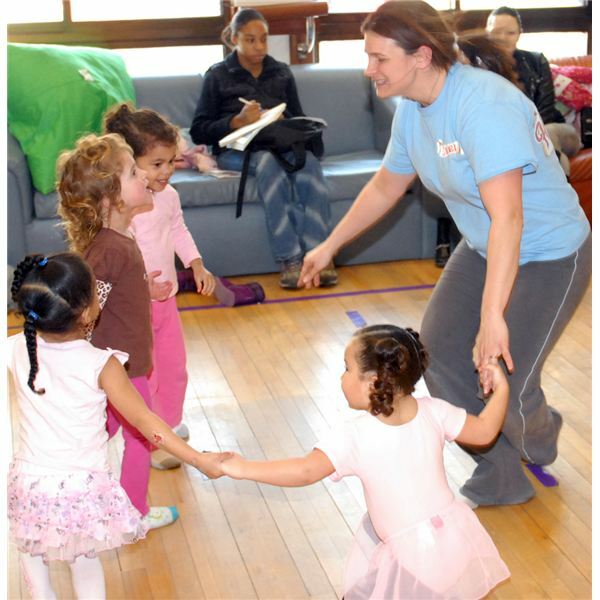 Gymboree is a place where children can learn tumbling techniques, basic gymnastics, music, and art. You can call the center and ask for a free trial class in any one of those areas, and if you see that your child has a high interest, you may decide to sign them up for a class regularly. There are also many gymnastics facilities that will offer “Open Gym Time” for homeschool-students only children. Using that time is a great way for your child to get some exercise while gaining some confidence and spending time with their peers. The same can be said for “Open Swim Time”, which many athletic facilities offer to their members. Another great source of information could be at your local library, community center or church. If you are specifically looking for an opportunity for your child to be around other homeschooled children, it may be that there is already a group of homeschooling students who get together regularly. Although homeschool groups sometimes gather for group classes, more often they focus on completing crafts, reading stories, singing and playing music, field trips or community service projects. These groups are a great place for both parent and child. They give children the chance to be with their peers, and give parents a chance to swap ideas with other homeschooling parents. Volunteering is a great way to explore your child’s interests. If your church has volunteer opportunities available, find out if you can sign up as a family to help with the task. Our parish has a food pantry that supplies food for many families throughout the year. This is something that our family can get involved in together. In the process, you may find that your child has a knack for certain organizational tasks. If your child likes to read and write, you might consider contacting a local assisted living center or nursing home in your community to find out if any of their residents would like to become pen pals with your child. Many children like to “write for fun” and having a pen pal is a great way for a child to use words creatively. Finally, you can contact your city parks and recreation department. Many parks and rec. departments offer activities for very little cost or free of charge. Depending on the time of year, your child may be able to take a class on camping skills, local wildlife, cross-country skiing, or take part in a theatrical production. Many activities offered through a parks and recreation department are one or two sessions only, which is especially nice if you are not looking for something that involves a weekly commitment. Once you have some ideas in mind, sit down with your child and give them a few choices. Depending on their age, they may be able to tell you what they want to do. If they are younger children or have not experienced many activities outside of school, contact the group or facility and ask for a trial so your child can experiment before committing to a class. Do you have any additoinal ideas on getting students involved outside of school? I’d love to hear your ideas in the comments.